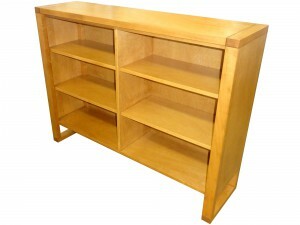 Each of the solid wood bookcases is built to order from either maple, pine or oak. Our local builders have a wide variety of sizes for the different styles. There are finish options for each, and in some cases, customization is available. In addition, many of our bookcases also have the option of doors. All dimensions shown are within 1/4″ due to the seasonal effects on wood and the nature of handmade furniture.